Smart locks on an AirBnB in oakland? Are you nuts? So I'm coming up on a conference in San Francisco. And the hotels are crazy expensive. Like more than my first car, per night expensive. I shopped around, and flophouses that have shared bathrooms and are featured in documentaries on Netflix about heroin injection are $300/night. Normally I stay at the airport and take the Bart in, but even that was $800/night. So I did what any sane person wouldn't. I got an AirBnB in Oakland. 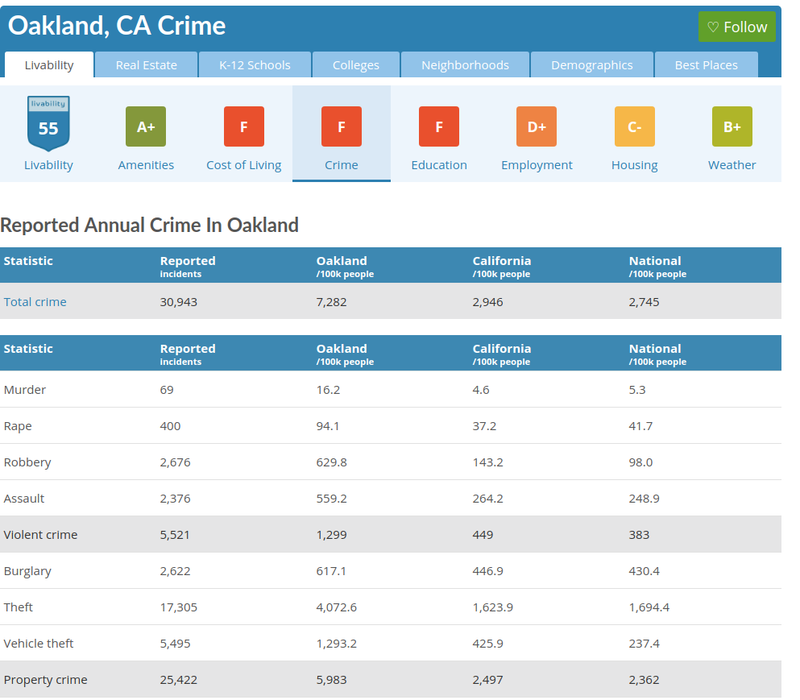 Fun fact: Oakland is safer than 1% of the cities in the US. Its got a great scorecard. B+ for weather, can't go wrong there! One of the things I'm interesested in tho is the 'smart lock'. The AirBnB experience forced me to install this 'August Smart Lock' thing (and give it some information). Ostensibly when I show up this lock will just magically open, only during those days, just by my phone being near. And, it should only open for me (not the local gang!). Safer than 1% of the US. A nice stat. Good thing you didn’t have to look in Camden, NJ. Safer than 0.97%! Emm…I’m guessing. camden has lower crime(!) but worse weather. it scores slightly ahead of oakland. but the day i get a sketchy airbnb in camden is the day ill reevaluate some choices! Most locks only keep out honest/lazy/dumb thieves. 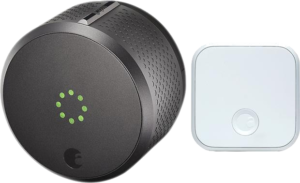 I’m not convinced the worst smart locks are much less secure than the average household deadbolt that just needs a good bump key to open. Practicing to pick locks has saved my friends a number of times but made me pretty cynical. Further what do you do about it? Make it look like you have things to protect?